While extremely common, traffic tickets are not generally life-altering charges. 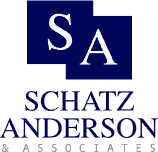 The attorneys at Schatz, Anderson & Associates do not commonly accept cases for traffic tickets alone. If the situation is unusual or warrants a tough fight, however, contact us to discuss it and we will help you determine if you have a case and what your next steps are. At Schatz, Anderson & Associates, LLC, our lawyers have extensive experience defending clients charged with crimes in Utah. Our attorneys have more than 40 years’ combined experience with criminal law. We emphasize providing a true defense on our clients’ behalf. This means conducting an independent investigation and taking the case all the way to a trial if we believe a trial is in our client’s best interests. We do not believe in accepting a plea bargain unless it really is the best option, given our client’s particular circumstances and goals.